After four straight seasons of .500 or better, a 5-7 slide in 2013 preceded a catastrophic 2014 that cost June Jones his job. However, just when it looked like the Pony Express was ready to devolve back to post-death penalty lows, the SMU athletic department went and totally redeemed itself. 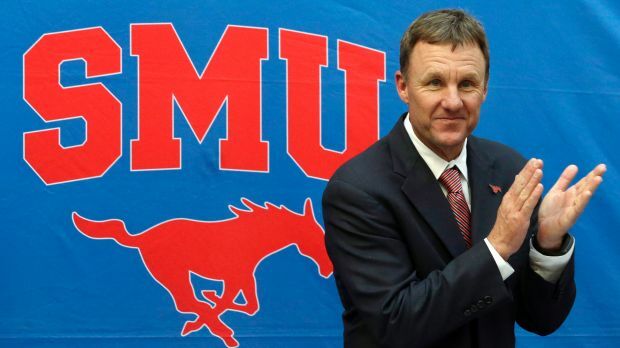 Chad Morris was one of the best hires of the offseason, but it may take some time for the Mustangs to get back to bowling with regularity. 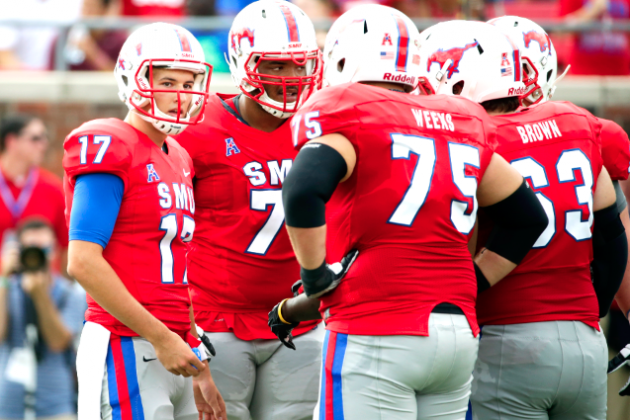 Starting with the positives, SMU returns all five starters up front. Line play is the single most underrated component of running a HUNH offense. You need talent, chemistry and depth on the offensive line or your offense will almost certainly not succeed. With eight offensive linemen who have at least one start and multiple three-star recruits, it’s same to say that the Mustangs’ O-Line fulfills the job requirements. Matt Davis showed last year that he’s capable of hurting teams with both the run and the pass, but he also showed that he could hurt his own team too. Davis was the leading rusher and tied for the leading passer last season, but he also threw five interceptions and lost five fumbles, while only scoring seven total touchdowns. Neither Prescott Line, nor K.C. Niemchi was particularly productive at running back last year. Both are back this year, and they really need to improve their play across the board in 2015. The one positive was that they were relatively turnover averse, with only one fumble lost between them. You would be wrong if you believed that the lack of production at running back meant that the receiver position would provide more hope. Darius Joseph led the team in receptions last year, but only amassed 379 yards on 54 catches taking the term “possession receiver” to the extreme level. One player to look at is Deion Sanders, Jr. (yes that Deion Sanders). He is a playmaker in the return game, and could play more of a role in the offense this year. As bad as the defense was last year, the unit with the most to replace may end up being the best. That would be the linebacker position, which is technically replacing two of its three starters, but due to injuries there are five returning linebackers who played in all 12 games last year. Jonathan Yenga is the lone returning starter at middle linebacker. He returns to build on his 49 tackles, 4.5 tackles for loss and two sacks a year ago. If the secondary is bad again in 2015, it won’t be due to a lack of experience. Six cornerbacks return who played in six or more games last year. Darrion Richardson returns as the starter at free safety and had 56.5 tackles last year. A.J. Justice was the backup at the other safety spot last year, but he saw the field in all twelve games, so he isn’t entirely inexperienced. Defensive ends Zach Wood, Mason Gentry, and Justin Lawler are all back again this year as well. They combined for eight tackles for loss and six sacks though, so they need to ramp up their level of play a good deal if that’s going to be a positive. Once again, there is plenty of depth here too, but the Mustangs could benefit more from a few standout players than a surfeit of replacement level guys. 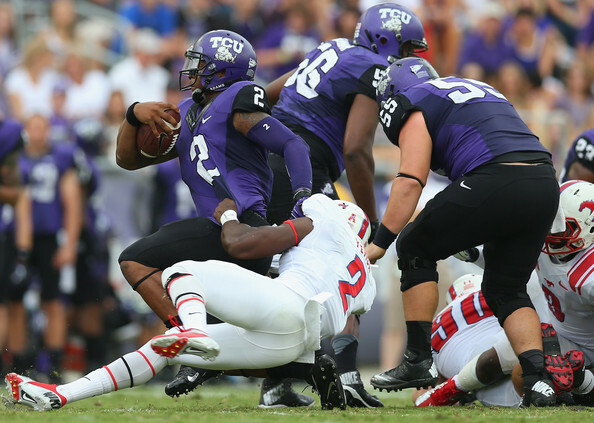 Chad Morris will get this program turned back around, but it will take some time. Morris has to undo some of the bad habits this team developed this year, particularly on offense. If Morris is given ample time with this program, the Pony Express could be a conference title contender again in the next 3-5 years. It just won’t be this year.